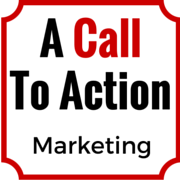 A Call To Action is an online resource for marketing, both offline and online, offering a wealth of articles, insights and information about the world of marketing for businesses across the UK and the world! When it comes to making your business work, marketing is one of the toughest things you, as a business, will need to get right, from working out how much to spend to then allocating it to the right platforms that are going to work for you. Should you be paying for SEO? Should you outsource your AdWords? Are newspaper adverts till worth the money? And no doubt, a few thousand more questions. So, grab a cup of coffee, tea or even a sneaky wine, sit back and read through some of the fantastic articles from our industry experts and often fellow business owners. If you could like to add your say, please click here to contribute, or get in touch with us about advertising here.